Quick overview Traces the life of the nineteenth century French artist, looks at his most important paintings, drawings, and sculpture, and discusses influences on his work. Making extensive use of new research and material, Belinda Thomson's incisive text gives a comprehensive and accessible account of the life and work of one of the most original artists of the late nineteenth century. 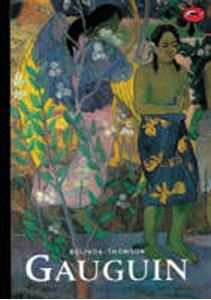 Gauguin's work-- painting, sculpture, prints and ceramics--is discussed in the light of his public persona, his relations with his contemporaries, his exhibitions and their critical reception. Drawing on the recently published edition of Gauguin's letters up to 1885 and on his exchange of correspondence with Vincent and Theo Van Gogh as well as journals and other writings, the author also reveals the private world, beliefs and aspirations of the controversial artist. 182 illus., 31 in color.